Shirley M. Swisher 78, of Salina passed away Saturday, November 3, 2018. She was born in Salina, Kansas on May 7, 1940, to Letta M. (McCall) Sims and Wilson A. Sims. Shirley graduated from Salina High School in 1958 and Salina Beauty Academy. Shirley married Raymond O. Swisher in 1958. She is survived by: son David Swisher and daughter Debbie Dennis, grandchildren Alissa Dennis (Derek Wood), Morgan (Jason) Olson, Sarah Dennis, Driston Swisher and Michael Dennis. Great-grandchildren: Cale, Jace, and Dane Wood. Sister: Ardyth Brightbill (Fred) and daughter-in-law Tena Swisher. Her beloved pets Persian cat Jada and canine Daisy. 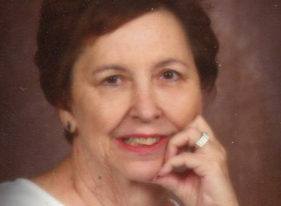 Shirley was preceeded in death by her parents, her loving husband of 59 years, Raymond O. Swisher; grandchildren Jordon Wallace Fuller and Joshua David Swisher. Service will be held at 11:00am, Friday, November 9, 2018 at Roselawn Heights Memorial Chapel, 1920 E. Crawford, Salina. Burial will follow at Roselawn Memorial Park. Family and friends are invited to join at the chapel for refreshments after words. Donor’s Choice in care of Roselawn Mortuary, PO Box 2322, Salina, 67402.